What a sweet and precious week I have had reading through your comments. Your hunger for a deeper prayer life clearly shows God’s Hand in the selection of this topic. How honored I am to walk alongside you in this prayer journey. Julie, your comment, “Hurry is the death of prayer,” is a great way to introduce this week’s lesson on abiding. We will spend our time in John 15 and study Jesus’ words on abiding. To “abide” is to remain or stay, to continue in a particular state for a long period of time. To “hurry” is to proceed with haste, to expedite. Abiding is the key to a powerful and effective prayer life, thus hurrying and abiding cannot coincide. Now to Him who is able to do immeasurably more, abundantly more, exceedingly more than we could ever ask or imagine, according to His power that is at work within us…Father, make this verse come alive in each one of us this week as we seek to spend time with You…to abide in You…to receive the fullness of all You have for us!! Heavenly Father, You alone are my delight. Only You, Father, satisfy the cravings deep in my soul. As I commit to abide, to sit at Your feet, detain me there through the power of Your Holy Spirit. Keep me still before You. Quiet my heart. Speak to me. Cover me with Your Love; wash me with Your Truth, and fill me with Your Spirit. Help me make Jesus’ walk with the disciples on the way to the Garden of Gethsemane and His message to them a reality in my life. This week as I spend time in Your Word, make it come alive to me. Work in and through me in very real and powerful ways so that I know that I know it is You. Father, as you mold in me a heart of prayer, I praise You every step of the way. I praise You as our covenant-keeping God who is the same yesterday, today, and forever. I praise You as the Maker of all things…the King of kings, the Lord of lords…Lord Most High. I submit my schedule and my time to You. Help me to KNOW the power of John 15 abiding in my life. Make Your living and active Word come alive in me. I claim victory in this in the powerful Name above all names, Jesus Christ my Lord. Amen. In this week’s homework, we learn to practically apply what we have learned. We will spend time each day abiding and being still before God. I hesitate to give you a time frame within which to complete each day’s assignment. Instead, my prayer is that the Lord will lead you as you carve out time each day to spend with Him. Each day has Scriptures with a general theme. Open your Bible and locate the verses. Then spend some time reading, meditating, and listening. When you are done, respond with what God has laid on your heart…what His Spirit has spoken. Day One: Get still before the Lord and simply spend time in praise. Write a response to what you have read today. Day Two: Sit with the Lord and acknowledge the gift of the cross. Lord, the sacrifices of God are a broken and contrite spirit, and a contrite heart You will not despise. Today, I confess my sin, especially _______________. Thank you that Your Word promises that when I confess my sin, You are faithful and just and will forgive me my sin and purify me from all unrighteousness. Thank You that Your blood, the blood You shed on the cross sets me free and Your Word promises that when You set me free, I am free indeed! Thank You that according to Your Word there is no condemnation for those who are in Christ Jesus. Thank You that You see me through the blood of Your Son Jesus. Thank You that all things old are gone and the new has come. Thank You that You have washed me white as snow and that my sins are as far away as the east is from the west! Today I receive Your forgiveness and cannot wait to live in the fullness of all You have to offer. AMEN. Day Three: Sit before the Lord and draw near to His heart. Day Four: Sit before the Lord and simply spend time in His Presence…no agenda just you and God. Day Five: Sit with the Lord and rejoice in all He has done in and through your time this week. Write a response to what you have learned today. The winner of the Target gift card is Desert Mermaid, Toni Brown. God’s Word promises that he who humbles himself will be exalted. Sweet friend, what an example you set this week… humbling yourself before us with your request for forgiveness. Robin Jones so aptly quoted this verse in her comment to you…there is nothing God desires more than a broken and contrite heart. You are at the perfect place for Him to reach down and reveal Himself to you in amazing ways you could have never imagined. I join her in praying that for you. Toni, please send your home address to deuteronomysix@aol.com, and I will send you your gift card. Good morning, this week lesson is a good lesson for me, to learn how to abide in Him. I want to feel Him working in me, as I seen Him working in others. What a heartfelt, blessed morning! Toni, you ARE a balance of grace and beauty. Thank you for an example I can follow on quickly quieting and humbling my heart. I have spent decades breaking the cycle my Mom instilled in me- giving the cold shoulder/silent treatment when someone angers me. Wendy, your response in giving the gift card with your sweet words brought me to tears. That's what God's response is when we ask forgiveness… my heart is literally overwhelmed with grace! This, along with the Psalms of praise have given me a platform to grow, praise and LIVE. With love and gratitude to every one of you!!! I'm looking forward to studying with all of you this week. I do have a very difficult relationship that I am trying to work on right now with my mom. It's a difficult relationship to explain but I would appreciate prayers as we work through this time in our lives. Please pray that I can forgive and that I can abide in Him so the healing can begin. Thank you for this series on prayer! It has been wonderful so far and I look forward to where He will lead us next. Thank you for your willing heart! I just want to let you know it has been a blessing to be in this study. A few of my dear sister believer friends are also participating and it prompted me to join in, too. I'm not done with week 1 yet but the treasures that God has unpacked for me in going through the scriptures have been unbelievable. He even woke me up at 3:43 this morning so I can work on the homework and it was very difficult because I'm a sister who loves her sleep (I did get up at 4:20)! Thank you for doing this, Wendy. I am thankful for this study of prayer. I will admit that I have let other things distract me from my quiet time with the Lord. As soon as I started on last week's lesson, the Lord began to speak to my heart immediately and to let me see that I was concerned about the wrong things, and that He will always give me what I need, not always what I want. I am looking forward to studying this week's lesson on abiding in God. 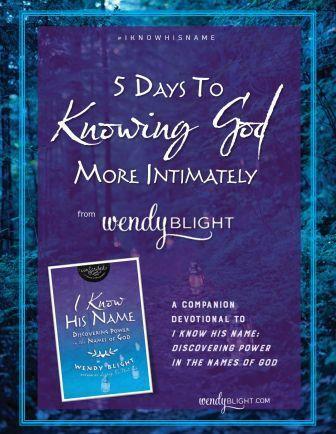 Thank you Wendy for allowing God to use you. I have been waiting for my email with this weeks study in it all morning. Thank you from my mom and I!!! You are such a blessing!! There was a period of time in my life where I did not get along with my oldest daughter. It seems as if she were making every wrong decision she could possible make, hanging out with the wrong people and never taking my advice. I cried out to God and asked Him why my daughter would not listen to me. When I got quiet before God He began to show me moments when I did not listen to Him and follow His decrees. From that day forward God began to work on me being more silent in my time with Him so that I could hear what He has to say. I now understand that prayer is a two way conversation; one listening while the other speaks. My relationship with my daughter is now the envy of all of her friends. I thank God for teaching me the right way to pray and I thank God that through this bible study He has more to teach me. I feel kind of shy about all this — certainly I am also grateful for the supportive comments. Sometimes the knowledge, love and support to be found in reading the comments takes me every bit as far as the lessons and scriptures, because they add such dimension to what I'm trying to learn or make sense of. This feels like a very safe place for all this to be happening to and for me. Thank you, Wendy, and everyone else! I have been looking forward to this since last week! Thank you so much! I was sooooo excited when you posted this week's lesson today! My phone isn't letting me watch the video past 2:06, but I honestly think it's because God really wanted me to focus on the verses from John 15. I actually prayed God would load the video to where I needed it to be and that's all that would come up after trying for 30min; I probably should've figured out what God doing after minute 5, but I can be slow on the uptake sometimes, lol. As I re-read John 15:5 several times, I had an "Aha, why hadn't I figured that out sooner!" moment. For way too long in my ministry I've felt like I've only been spinning my wheels, not going anywhere and not seeing a 'return' for my efforts. My problem is that as hard as I have been trying to work for the Lord, my time with Him has dropped to an all time low. "…apart from Me, you can do nothing." It's hard to know the best way to serve God if I'm not abiding with Him. It would be like slaving in the kitchen when everyone just wants to order a pizza. I need to abide with Him so that I have an understanding of His desires in the ministry He has entrusted me with. The homework today reminded me to put everything aside, so that God is center stage. Combine that with Psalm 46:10, which has been continually popping up for me in seemingly random places in this past week alone; God needs me to sit down, spend some time with Him, and listen to His voice. I'm am resisting the urge to dive into tomorrow's Word, instead I'll finish this pile of laundry and keep my mind on higher things. I couldn't wait to get home from work, and start this week's lesson. I have so enjoyed this study so far. Thank you Wendy! Thank you Wendy once again for faciliatating this study. I love how your studies help lay the groundwork and "force me" to search God's word for those hidden treasures. Abiding for me has always been a little hard. I am side-tracked so easily.It seems as soon as I sit down to spend time with God- Satan puts my mind into overdrive. However, the more time I do spend with Him the more I want to know Him more. It seems that when I get out of sync- and slack on my time with the Lord- the harder it is for me to get back on track. But we just keep on trying and He always meets us where we are. For todays Reflection verses…what really struck me is how abiding and praising go hand in hand. Praising is a natural occurrence when we are abiding in Him. I find that sometimes when my my is in overdrive and I can't seem to concentrate a good praise song in the car will point me back to where I need to be and open my heart and mind. Interesting enough..that is what Elisha did too in 2 Kings 3:15 when he too needed to clear his mind! Praying for all you sweet sisters who are also on this journey! John 15:5 has always been my favorite verse in the Bible as it says so very much to us and tells us simply that as long as we abide in Him everything will be fine BUT apart from Him we are nothing! I absolutely love the simplicity in thate statement. 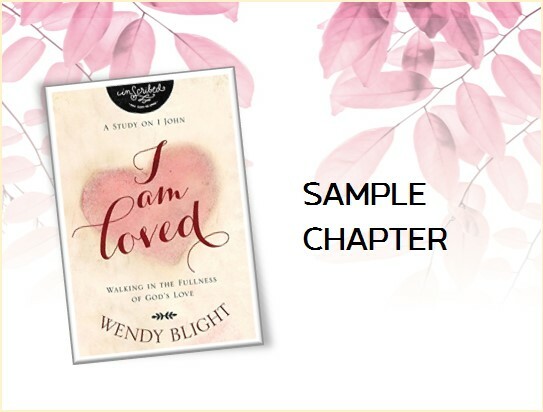 I am enjoying this study so much and learning to really "be still and listen"
Hi Wendy, I'm enjoying this study and signed up with my email address and name last week but haven't received anything from you. I'll give the info to you again. Just joining in. Been thinking about it for weeks, wanting to join a local Bible study but finding that difficult to do as a single parent of 2 little girls. Also been thinking about the topic of prayer lately, wondering if I'm really spending enough time in prayer or maybe my continual prayers throughout the day are sufficient. But after coming to your site today and working through Day 1 verses, I'm getting sucked in! Though I've read it before, Psalm 84 really spoke to me today, especially verses 5-7. "What JOY for those whose strength comes from the Lord…When they walk through the Valley of Weeping, it will become a place of REFRESHING SPRINGS…They will continue to GROW STRONGER…"
I started this study today sitting in car waiting for kids to come out of school. I realized this is a time I could fill with time with God. I put cd on to help with my praise worship time and the song playing was casting crowns one where the chorus says: 'Jesus Jesus at your feet, oh to dwell and never leave. Jesus Jesus at your feet, there is nowhere else for me.'. All the lyrics are wonderful (can't remember the songs title sorry), but even to just sing the chorus is a blessing to me today. My picture is Mary kneeling at His feet, and Martha melting at the site of it…there is nowhere else for me, at His feet. Even saying all this I realize how hard I find this to do, but encouraged and lifted up by this truth as it soaks in today. I am loving this study and the realness of the comments. I am enjoying using my newly created 'space' to be alone with God. 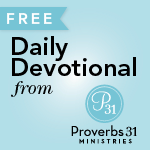 I was encouraged to make a space I could use for quiet time thru a devotional on Proverbs 31. I feel blessed over and over to have discovered P31 and our dear sister Wendy. Must get back and read some more comments. Pudycat65… I cannot thank you enough for sharing your parenting trials and wisdom. My daughter is only 8, but I find myself trying to force my message into her and I get so frustrated when her stubbornness doesn't allow for two-way communication. How true that when I am silent with the Lord, He shows me that I am my daughter and He is my Father. I anticipate great growth in my parenting with your wisdom coupled with this study and a renewed Mary-heart. God bless you! Kristina, I am praying for God's most intimate healing in your relationship with your Mom. Well this is a good time for me to be doing this study. Thank you Wendi. I'm struggling with feeling secure in almost all my closest relationships right now. I've been married 26 years and I actually have told people that if anything were to happen to my husband or marriage, I will never marry again because I never want to be in the position to have to trust someone in that way again. God has healed our marriage but I haven't gotten to the place of relaxing and being at peace. I know this is not lined up with God's word and my relationship with God is where my peace comes from – in my head I know this. I am loosing my mom to metal illness and my daughter is living with her boyfriend who is abusive. Abiding, I have not been doing. Drowning and crying out when I come up for air is about it. First of all thank you Wendy for putting together this Bible Study! He said “come follow me” and they came. A face like all the rest. The Son of God would lead the way. And soon they all would say. A savior to the world. Here He stands with scars in His hands. A single word would calm the storm. but He was called a hypocrite. He left the curtain torn. We are learning about abiding. What I find interesting is that in a few of the verses from day 1 the word dwell shows up in some form or another. Ps 27:4-dwell–Ps 90:1-dwelling–Ps 84:1 and 84:4-dwelling. Abide means to dwell. To dwell means to reside. We need to be abiding/dwelling/residing with God our Father. How precious all of this is! And yet, one of the hardest things/concepts to put into action. To sit and be still. Listen. My heart keeps breaking this week as I know my Father, our Father, longs, desires and WANTS us to just abide! We are so excited to have you join us for your very first Bible study! God will do amazing and marvelous things as you seek to know Him more. Thank you for sharing your story about your daughter. I am not sure if you know my story, but I was raped at age 21 by a masked stranger hiding in my apartment just days after my college graduation. If you or your daughter would like to contact me, please e-mail me at deuteronomysix@aol.com. 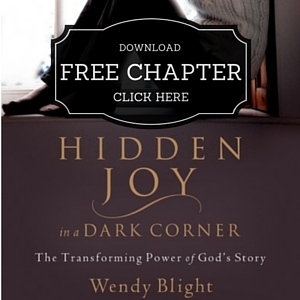 I have written a book entitled Hidden Joy in a Dark Corner (you can read an excerpt here in the sidebar of my blog) that shares my story and how God fully and completely healed me from the pain and suffering caused by the horrific acts committed against me. God is so very faithful to heal and restore when we surrender our doubts, our questions, our pain, and our suffering to Him. "Heavenly Father, You have the power & authority to give order to the universe… keeping planets and stars in harmony with one another… and yet at the same time You take notice of each of your children here on earth. We are filled with awe that You have numbered the hairs on our head, know us each by name, and have a wonderful plan & purpose for us all. How comforting to know that even as we encounter things in this world that are difficult, things that are hurtful, even things that are of sin & evil … You can create something good from them. All glory and honor to You! Lord forgive me the times that my limited understanding draws my belief into a place that presumes boundaries on your ability to move within any set of circumstances. Lord forgive me the times that my pride and self-confidence leads me to take my eyes off of You while I attempt to handle things on my own. Lord forgive me the times that my ego and stubborn heart have me pursuing those things which I deem to be important rather than what You would will for me to do. Lord forgive me that I often fill my days with the business of "doing" things in your name, rather than stopping to just be with You. You looked over your creation and declared, "It is good" — and that includes me. I pray that what I create this day will receive the same praise from your lips my Lord. I ask this all in the name of your Son, and our Risen Redeemer, Jesus. Amen." The Lord is righteous in all His ways and loving toward all he has made. The Lord is near to all who call on him, to all who call on him in truth. He fulfills the desires of those who fear him; he hears their cry and saves them. The Lord watches over all who love him, but all the wicked he will destroy. What wonderful image this creates in my heart! Dusty here!!! No matter how low I get or how bad things seem I have His promise to see me thru…to always be there to rescue me and watch over me! 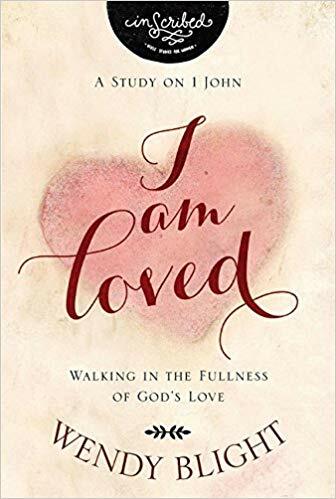 I want this study to teach me better and more effective ways to pray…so I can praise Him the way He deserves….and at the same time I draw comfort from the fact that even when I can’t pray or find the words to use? That He knows what is in my heart at all times….how wonderful it is that such an Almighty God cares for and pays attention to even the least of His children! Few things I learned. First the English word in Joh 15 is stronger then in the Dutch translation and I just never would have studied that word in greek for it doesn't come that strong. I read my English bible more often now and it is a blessing. Because in your own language some words and verses are so known that you easily read over. When I read English I have to translate in my head and new things I see! Often I go for the same verse in Dutch wondering if its there to and of course it is but I just read over it. So I advice you all to go and study Dutch (or Italian or something else…) for its a blessing to me! Trough this study ps 46:10 came around for the third time. I know what God means with it and so I know what to do! I never noticed before that this story is right befor Gethsemane. They were tought abiding and ariving in Gethsemane Jesus asked them to stay awake to pray, to abide the very thing He just learned. And they fell asleep…. Please Lord don't let me fall asleep when I need to abide in You! And final my prayers are with Jennifer and her daughter I figure they came to the right place on your blog! My son, attend to my words; consent and submit to my sayings. Put away from you false and dishonest speech, and willful and contrary talk put far from you. Let your eyes look right on [with fixed purpose], and let your gaze be straight before you. Turn not aside to the right hand or to the left; remove your foot from evil. Verse 21, let them not depart from our sight – means to keep reading the Word, do not neglect it. To keep it at the center of our hearts means to make it our number 1 priority. Above all else! For only through a thorough knowledge and application of what God says will we find our purpose in our lives (v. 23). V. 24 emphasizes the importance of being vigilant and to watch that we do not stuff things in our hearts that do not belong there. Get off those gray portions (consisting of old hurts, bitterness, anger, resentment, etc) and replace them with gold, shining gold (God's Life). The kind of light that shines forward like today's reading in the Chron bible (2/16/11). V. 25 well, I have repented of that conversation my sister and I had the other night. I have given that over to the Lord and He has forgiven me. I have to remember to keep contrary talk away from me. I will need help this afternoon when we pick up my Dad. Lord, show me the difference between fueling gossip and just wanting to know how my relatives are doing? Motives? It depends on my motive? Do I really want to know or am I just trying to dig dirt? Hmm, okay, I heard you. Thank you. V. 26, consider the path of your feet means to pay attention to where I am going, what I am doing and with whom I am associating. It may also mean being a good steward of what God has given me. It means not going to the store to buy needless things, it means not propping up my feet in front of the tv to watch mindless shows. It means during my daily walk to always be ready (and willing!) to tell people about Jesus, Remember Romans 10:15 And how can anyone preach unless they are sent? As it is written: “How beautiful are the feet of those who bring good news! I want beautiful feet, Lord! It is hard to fathom that God loves a sinner like me so much that He let His son go through such horrendous pain and humiliation to be the ultimate sacrifice for my sins. How awesome is our God that He remembers my sins no more when I ask for forgiveness. Even when I can't seem to forgive myself, He does. I also love the fact that He desires that close abiding relationship with me. This has been a great study so far in that it has reminded me that the best way to talk to God is to pray His word back to Him. This also strengthens my daily walk. Hi my name is Trudie Robson and I would love to do this study with you. My email address is trudie_robson@yahoo.ca I found you on my Christian radio station and then found you on face book. It is so awesome to have strong Christian woman with a vision for the woman of this age. Thank you for your obedience to Christ in using the gifts He had bestowed upon you. That the throne of God is not made of marble, but of mercy!! I loved what you said about reading your Bible in Dutch versus English. How your eye just passes over some words in the Dutch, but when you read it in English you get a new perspective on it. My Spanish is so rusty that I'm not sure I could do it. However, one of the things I do is go onto Biblegateway.com. There I can look up mulitiple passages in multiple translations of the Bible. I love to read it in the NIV translation then read them again in the Message or Amplified versions. I draw so much more out of it. This may be a little geeky, but there are tools to look at the Hebrew and Greek lexicons there too. Again, adding so much to the reading. It's neat what the Holy Spirit will unfold and reveal to us as we roll it over and over in our minds and hearts. This is Isaiah 51 7 – 15 in the Message translation by Euguene Peterson. 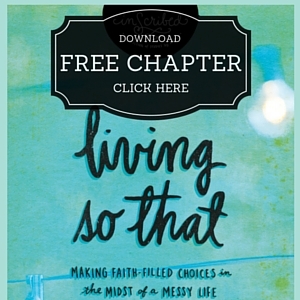 A few weeks ago, I wrote a blog post about how are sins are like dirty laundry water! I laughed out loud when I read the first sentence this morning. It is such fun to read throught to these comments and see how God takes the Scriptures and speaks to each one of you. How it exemplifies the truth of Hebvrews 4:12…the Word of God is living and active and speaks to us today. I am learning so much from your comments. Thank you also for the beautiful prayers you are sending . They are wonderful examples of what we will talk about next week. Please continue to share your thoughts. God is at work in our midst!! whoops, that was psalm 51: 7 -15. I am loving this study:) I wanted to share what has really jumped out at me today as I have been doing the homework. I am on "Day 3" and Hebrews 10:23 spoke to my heart: "Let us hold tightly without wavering to the hope we affirm for God can be trusted to keep His promises." I have seen the Lord keep His promises to me and have seen Him perform things that are nothing short of a miracle. The Lord reminded me this morning of the ways Her has carried me, they ways He has brought healing and restoration in ways I couldn't even imagine. But He did this on HIS timetable..not mine:) He has taught me that perseverance is the key to our faith. God bless ladies..praying for perseverance for each of you!! @ robinjones another thing is to download for free esword you can switch word to word between English and greek or hebrew. 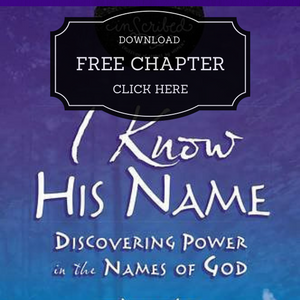 Just click on the wordnumber and the greek/hebrew word and its explanation appear. Great way to do bible study even when you don't know greek/hebrew or have a second language or different bible translations. When I read online bible with all the different dutch translations I am able to compare them with English. But what is the common Eng version? I am so encouraged and grateful to our loving Father as I feel the presence of the Holy Spirit each time I pick up from where we left off. It inspires me to get into my chair in the corner of my room and bathe in His Word and my hour of prayer has been sweetened! I took this study on my own as I found led to do so in the Proverbs 31 ministry site and God has blessed me. I pray that I will be obedient to His every Word. Thank you Wendy for giving of your wisdom to us. Out of those versions, I would probbaly go with the American Standard or maybe Contemporary English. Can you choose the New International Version? That is a more commonly used version. I agree, the NIV is most used. They have just updated it so now there is a 2010 NIV. The English Standard Version (ESV) is also gaining popularity. Personally, I like the New Living Translation. It seems much easier to understand while staying closer to other translations than the Message. But I often refer back to NIV on Biblegateway.com because I've often memorized the verses from the NIV. has always been Proverbs 3: 5-6 “Trust in the Lord with all your heart and lean not on your own understanding. In ALL your ways acknowledge Him and He will make your paths straight! !” I have these verses displayed in several locations around my home and patio so I’m reminded to NEVER go it alone!! I'm also enjoying this study and praying for all our needs expressed here!! I've also started keeping a small planner handy when I read Scripture 0n my own and during the homework so I can job down the verses that really impace me! Hubby and I have a tradition that we started which is once a day, one of us picks a Bible verse and writes it with a dry erase marker on the corner of the huge mirror over our bathroom simk. 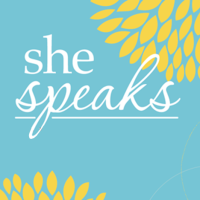 I think I read it in one of the girls blogs on Proverbs 31 and we really enjoy doing it! Hubby says mine have been getting "deep" enough to send him scrambling for HIS bible and that's a GOOD thing!! Looking forward to all this more and more each day!! Ladies, as I was going over today's verses and praying for you. This song was playing through my head–"Better than a Hallelujah" by Amy Grant. If you have a moment, grab a cup of coffee or tea and listen to the words of this song. Watch the graphics aand let it wash over you. ABIDE. Also…Need some prayer warriors to help me with this. I need the Lord to help me understand if a job opportunity and a prodigal daughter returning is of Him or if it is me falling back into pattern with work-aholism and rescuing a lost child. If you could shoot up an extra prayer for me, I would really appreciate it. Robin… I am holding you tight in prayer… that God whispers His discernment and gives you ears to hear. I'm off to teach my boot camp class. We will be doing "dedication runs" this morning. I'm dedicating my efforts to you and your daughter, lifting you both to the Lord as I run. I have really enjoyed reading everyone's comments! I just finished Day 4 and Day 5 together. In Day 4 one of the passages was in Exodus 33:14, where the Lord was speaking to Moses, telling him that He was going to be right there alongside him. Well, I shot up to verse 11 and in the version I am reading in (New Living Translation) the verse says, "…the Lord would speak to Moses face to face as one speaks to a friend." It stopped me in my tracks, really. That the God of this universe, the Giver of life, our Creator, desires to speak to us as FRIENDS. Whoa. I instantly envisioned me with my girlfriends, talking and laughing over coffee. This is the intimate relationship that the Lord desires to have with us. It just simply amazes me. Thanks Y'all! I will search for NIV! And praying for the needs I read. Girls, I feel like I'm talking too much. However, I am SO EXCITED. I just had this super ABIDING morning and I just have to share. I had brain block about the next topic to write about on my blog. Through some real wrestling before God…some remaining…I finally understood what to write. Thank you so much, Wendy, for doing this. Thank you to my new friends for the encouragement and prayers. Thank you, Thank you, Thank you, Jesus! Since we are talking about abiding this week here are the words to one of my favorite hymns. 1. Abide with me, fast falls the eventide, The darkness deepens; Lord, with me abide, When other helpers fail and comforts flee, Help of the helpless, O abide with me. 2. I need Thy presence every passing hour; What but Thy grace can foil the tempter's power? Who like Thyself my guide and stay can be? Through cloud and sunshine , O abide with me. 3. Come not in terrors, as the King of kings, But kind and good with healing in Thy wings; Tears for all woes, a heart for every plea, Come friend of sinners, thus abide with me. 4. Swift to its close ebbs out life's little day; Earth's joys grow dim its glories pass away; Change and decay in all around I see; O Thou who changes not, abide with me. 5. I fear no foe with Thee at hand to bless; Ills have no weight and tears no bitterness; Where is death's sting? Where, grave thy victory? I triumph still if Thou abide with me! 6. Hold Thou Thy cross before my closing eyes; Shine through the gloom and point me to the skies; Heaven's morning breaks, and earth's vain shadows flee; In life, in death O Lord, abide with me. Have a blessed weekend everyone. I appreciate everyone's comments so much! They bless me, and strengthen my ability to stick with the study, and to accept my own limitations. God has given us so many tools — He even uses the internet to bless us. Reading, writing, speaking, singing — all these things can bring us closer to Him. Right now, my challenge is to remember Him in the midst of the storm (and believe me — it is a storm) of being a teacher in a secular school with kids from kindergarten through 12th grade! I get so tired and impatient — even though I know God has put me there to bring light there. The problem is me. It is so easy to just fall into old patterns instead of being a new creation in Christ. I so long to be the powerful witness those kids need, and my own kids as well, but so often I fall short. Well, I got off the subject there, but the point is, your comments have blessed me today, ladies. I completely agree with all of the excitement in our group! This morning I wanted to review everything we focused on this week and I'm praising God for opening my eyes to new revelations. Wendy, I watched your video again and the two words that impacted me differently this morning were "Passionately Pursuing". When you applied it to your relationships, things started to run on all cylinders in my mind. (A car reference from a girl? Oh heaven!) (By the way, I don't know the first thing about cars.) Needless to say, I realize that if I passionately pursue our Father, I'll find Him in every person I encounter. Every one! Maybe He is knocking, but they are not letting Him in. Maybe He is holding them incredibly tight because they are deeply injured. Perhaps He is flowing out of them- which is how I would describe each woman here. When I passionately pursue God in each person I interact with, it gives me a different perspective on the grouches, the snobs, the drama queens and the victims. Passionately pursuing… it's hard-wired into every woman… and now that my focus if fine tuned to what I need to passionately pursue… our Heavenly Father… I know my effectiveness will increase. Thank you Wendy! 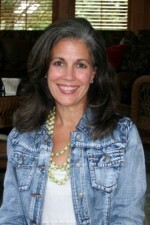 Terri- I thank God for you! I pray for courageous teachers like you because we'll never be able to afford a private Christian school for our daughter. I'm always hopeful that there will be beautiful souls like you for our sake! You ARE a powerful witness… starting out with the fact that you realize you're human! When I was the ages of your students, I would never be able to connect with someone I thought was "perfect". Your heart to passionately pursue your mission says it all. You are EVERYthing they need (even if you don't get immediate feedback from your students, their parents or your co-workers). Please keep on keepin' on sweet friend! I'm praying for you and I already know God is doing miraculous things through you! All I can really say about this week's study is WOW! It was extremely powerful and filled with His spirit. I would also like to say that the comments here are a blessing. I guess what God "highlighted" for me this week (and yet again) was to let Him come forward – He is always with me if I will just let Him be My God – be still, be quiet, let Him come to the forefront of my life. I also participate in Bible Study Fellowship International and our study this year is Isaiah – this study on prayer is absolutely walking hand-in-hand with that. As His children – if we will only listen, repent and obey – His tender mercies await us. 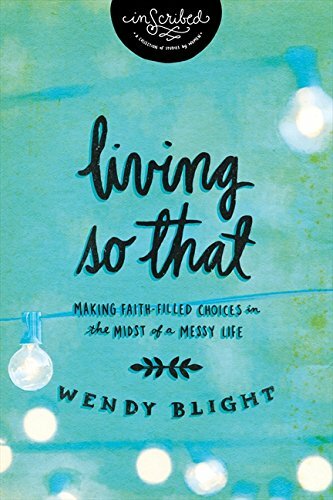 I have finished my homework for the fouth day and I have to express my THANKS to you Wendy for posting this bible study. I totally could feel the Lord while I was looking up all the verses…he was speaking to me! This scripture really hit a nerve. Exodus 33:14 The Lord replied, "My presence will go with you, and I will give you rest. Thanks for sharing the conflict you had at work and how abiding – spending time with God has humbled and allow the Spirit to speak to you that resulted in such a wonderful outcome. I thank God for you and sensed your sincerity in all your sharing. I have a hunger and thirst for His Word but I had difficulty praying. I would spend much time reading and then find myself too tired to pray and most times making it a short one.. I know that's not right. Woke up this morning SO excited for what this next lesson holds for us as we begin praying God's Word together. I am praying for God to do mighty, powerful works in our lives and in the lives of those whom we love…praying again that He will do exceedingly, abundantly, above all that we can ever ask or imagine as we join together through the power of His Holy Spirit as one body praying His living and active Word back to Him!! I love you all and am so very thankful for you and the opportunity to walk this incredible prayer journey with you!!! Dear Sisters, you are all blessing me. Thank you all for your spiritual sharing. I need it so badly. I have a list of prayer requests made by my online sisters. Please know you're being lifted up to God's throne. My second daughter seemed to be 'rebellious' right from the start. Not wickedly, but just contrary. I remember telling myself when she was very young, not to get "too attached" to this one because she's going to break my heart. Fast forward about 20 years… She knew she was saved at a young age and knew she was living a rebellious life. God DOES deal with His own. And His sheep DO hear His voice! Her life is totally devoted to serving God now, not just at the Mission where she works but with everything and everyone who God puts in her path. TAKE HEART dear sisters! You're only on a difficult page in their lives. Don't EVER give up on them! I am a week behind in these lessons – and that's OK. Maybe I just needed this lesson today of all days and that's the reason it was put off. I have never, ever thought of what ABIDE means before. Amazing. In church and elsewhere, I hear "Abide in Me" but never took the time to understand and realize what that means. I am so glad your lesson covered that! I am a hurry person – always. 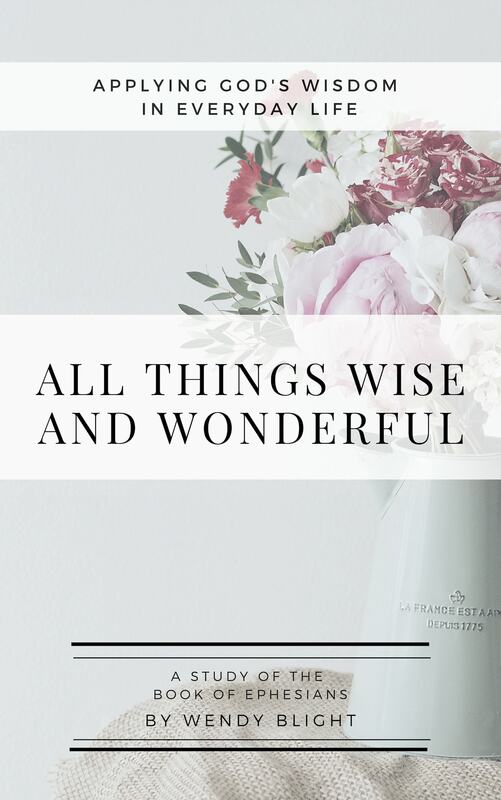 I would say my prayers but would always have something in the back of my mind; mostly hurrying through to get on with something else… I just want to give a big thank you to Wendy and all of the posters on the blog – I am learning so much from all of your sharing. Thank God I have found Wendy and this prayer study. I look forward to time alone with God right now….followed with some of the homework and lesson 3. And, I'm not going to hurry through everything, but go at a slow pace, letting Bible verses and my thoughts about them seep into my mind, heart, body and soul. In week one I wrote that I was having trouble sleeping at night and was getting up in the late morning hours. I am so glad that is not the case now. Hi, Wendy: I am also behind as Lisa said, but now I am finished with Lesson 2. I had been a Catholic for 60 years. Finally, I decided that although I am physically nice and plump, my spirit was becoming more frail. My Spirit was dying. One day I asked God to feed me and give me something to drink. He did. Now my body and spirit are both healthier. I had no idea what was in the Bible. I knew the Bible Stories and The Lord is my Shepherd and a few other things so when I study the Bible now like God instructs us to…in order to gain Wisdom and Understanding…it is just so wonderful to me. Thank you, Wendy. Mary S.
Thank you for sharing your testimony about the ministry job. I can so relate – God spoke to me about MY attitude not my bosses' attitude. I apologized for my attitude to him (boss) and prayed and asked the Lord to convict me to do the right thing. A few weeks later, my boss came to me to let me know "I was different". I got to speak with him and told him I had prayed about my attitude and the situation. He listened and said he agreed. He has come to me a few times to ask me to pray for sick loved ones. I appreciate you teaching about abiding. It is what we all need. We need to listen to God's lovingkindness. Psa 143:8 Cause me to hear thy lovingkindness in the morning; for in thee do I trust: cause me to know the way wherein I should walk; for I lift up my soul unto thee.